“Challenge to machining a very slender hole of φ4x130mm into a tungsten rod of φ6×150!”|Precision Machining of Ceramics, Quartz, Tungsten & Molybdenum | Top Seiko Co,. Ltd.
We’ve got a tough challenge of machining a very slender hole of φ4x130mm into a φ6x150mm tungsten(W99%+La1%) rod from one end. This is a collaborative project with JAXA (Japan Aerospace Exploration Agency) and Muroran Institute of Techonology. 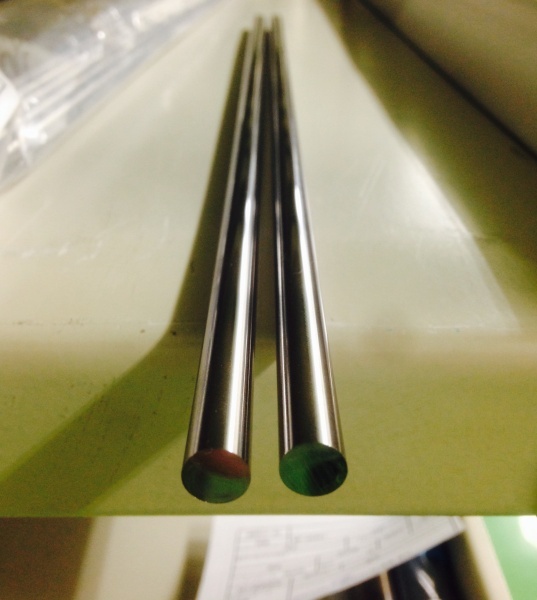 We believe machining a small hole into a hard tungsten rod like this is a very new challege not experienced by anybody in the industry before. We are so exited to this new challenge to start this month, and would keep you updated of the progress! ※This article is published with permission of authorized people.